The Christmas Hook has arrived! 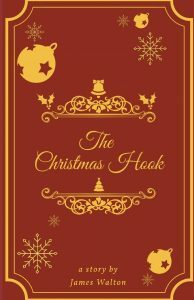 As we start the holiday season my new book The Christmas Hook is available to purchase. This w Christmas classic follows three 9 year olds on a spooky Christmas break where they find a strange hook that brings them terrible nightmares. It also brings to light many of the struggle’s kids face at that age. If you love Christmas you will love The Christmas Hook! The holidays are upon us. Love it or hate it there is nothing you can do. We are now left to carry ourselves through the season following whichever traditions and beliefs we carry. Some of those holidays may put us in a vehicle or even on a plane to go visit loved ones. That is all part of it. If not to be surrounded by love, what’s the point of all these holidays? Listen to this broadcast or download “Surviving Holiday Travel” in this player! 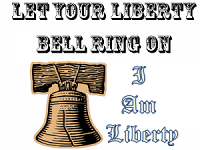 The Liberty family is well versed in the act of travel. We do it and we do it together, we do it separate and we have been traveling for many years. That is what happens when you move 4 states away from family but you still love the soft pretzels and the cheesesteaks, you go back to see them and to eat the great food. This is the first topic in a series of holiday preparedness shows. We are going to get into all sorts of great content centered around what we do during this time of year and how we can do more of it with prepping in mind. Readiness and awareness are a big part of this series and we will have a few great guests to help us with the coming shows in November, as well. So buckle up and lets talk holiday travel and the bigger picture of holiday preparedness. Previous: Previous post: Frequencies in Communications! Next: Next post: Shotguns: Ammunition Edition part 3!